February is a big month for Pokemon, one of my favorite game franchises. There’s a lot going on this month that I’m just as excited as Pikachu with a ketchup bottle! 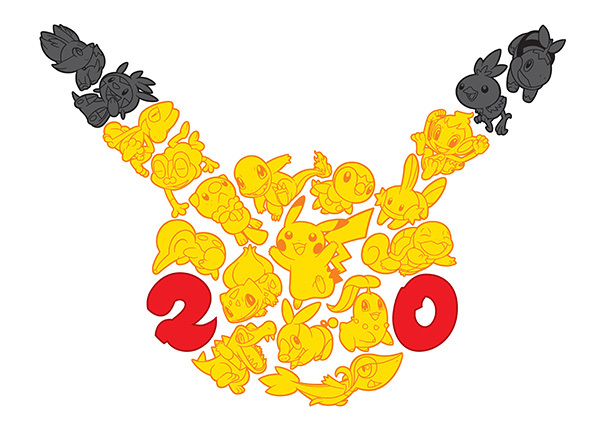 February marks the 20th anniversary for Pokemon. 20! I feel like Pokemon has been out a lot longer than that, but I’m 22 and Pokemon came out two years after I was born, so… Math. I follow Nintendo News here on WordPress. They’re constantly updating with news and events multiple times a day for various games. Lately, they’ve been mainly talking about Pokemon. They have big plans for the anniversary. 2. New 3DS Pokemon 20th anniversary edition will be available February 27th. The new editions are Charizard and Blastoise from the original Red and Blue games. 3. The main star of a new Pokemon movie and the full title will be announced in February. Supposedly it’s going to be big. 4. Starting in February, legendary Pokemon are available. Mew is available through Gamestop in February. 5. The first three Pokemon movies (Pokemon The First Movie, Pokemon The Movie 2000, and Pokemon 3 The Movie) will be in a Blu-Ray bundle for a limited time starting February 9. There’s so much more to come too! There will be special events and certain happenings at different retail locations on February 27, which is Pokemon Day. I’m pretty sure my wallet will feel some pain in February. To find out more, go to Pokemon.com/20. Are you a Pokemon fan? How excited are you for the 20th anniversary? You can get a Mew now! I’m getting mine this weekend hopefully. Woohoo to Pokémon! I know our timezones are off, but we should swap friend codes on our 3DS and battle sometime!